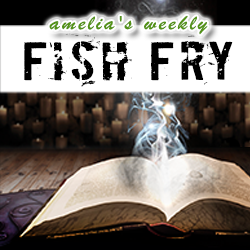 This week’s Fish Fry is a virtual bubbling cauldron of hoodoo rituals, VPX goodness, and bat wings. (OK, kidding about the bat wings). First up, I chat with a team from Elma Electronic about the perfect recipe for high speed wizardry in the world of VPX and the rituals we need to perform to get the newest and coolest technology features in OpenVPX. Continuing with our open architecture theme, I chat with Mike Walmsley from TE Connectivity about rugged embedded computing and the trends driving new interconnect design today.